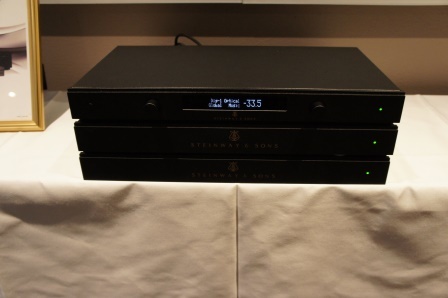 I visited the Stockholm HighEnd Hifi show that took place in Stockholm 7-8th of February 2015. 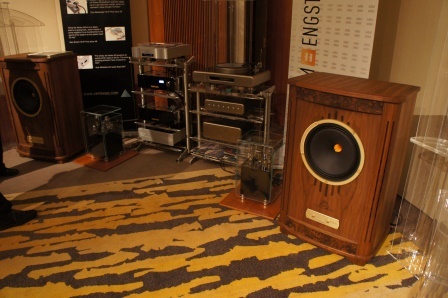 This is a reoccurring event that always gathers some interesting designers, distributors and people from many well-known HigEnd manufacturers and Hifi shops. 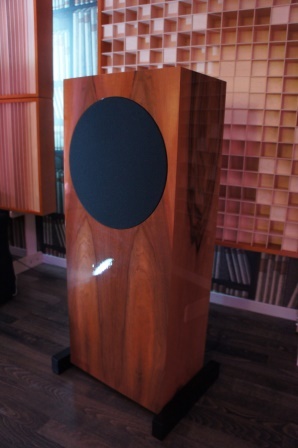 I focus mainly on the loudspeakers and as always it’s hard to evaluate a loudspeaker design at a Hifi show, but you can at least get a general impression on how they sound. 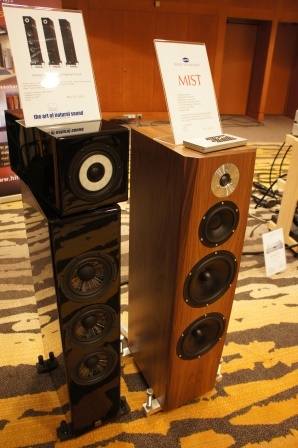 Left: The Concerto Grosso flagship loudspeaker from HECO. The Concerto Grosso had a large soundstage, but it sounded a bit harsh and edgy in this setup. 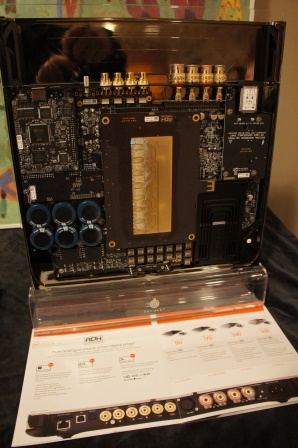 It would be interesting to listen to them in another setup with another source besides the LapTop used in this demo. Unfortunately I never had a chance to listen to the Scorpio, but it sure looks futuristic in its design. 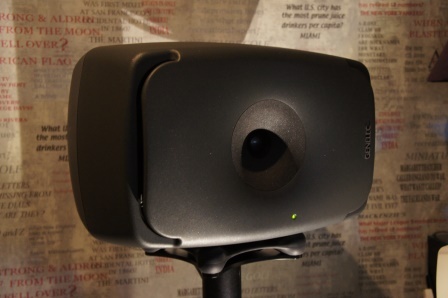 The Advance Paris from Advance Acoustic. 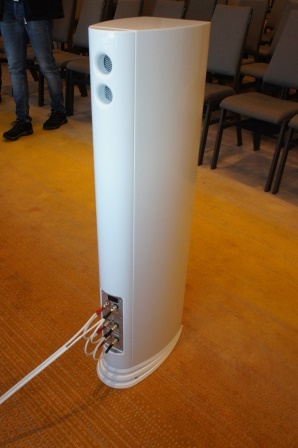 I liked the module look of this loudspeaker and it actually looks better in real life than the pictures shows, but sadly I wasn’t impressed by the sound, which was diffuse and unfocused. Perhaps they sound better in another setup. Running on Gold Note electronics the D7 had an easy listening character, but lacked some detail and preciseness. 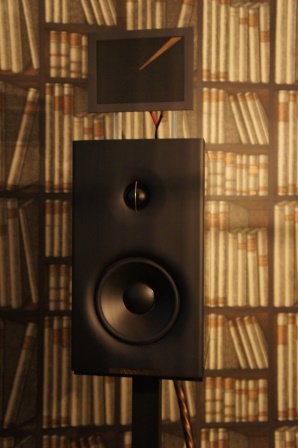 The Adamantes III 25th Reference and the Micra III loudspeakers from DIAPASON. 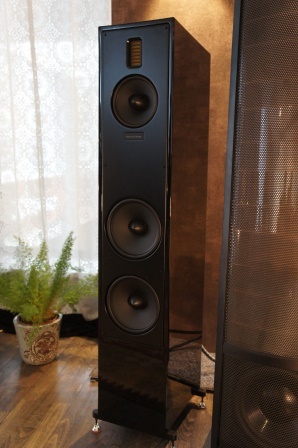 There is no secret that I have a weak spot for good quality stand mount loudspeakers and these Diapason loudspeakers did sound nice. They have an impressive solid wood look and the finish is first rate. 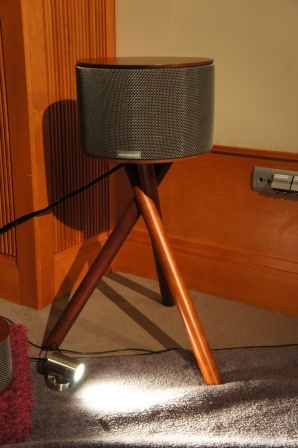 I thought that the smaller speaker sounded better in my short listening session. The larger speaker sound ok, but I think the 4.6kHz cross-over frequency is a bit too high for this 7” mid-woofer, to be optimal. 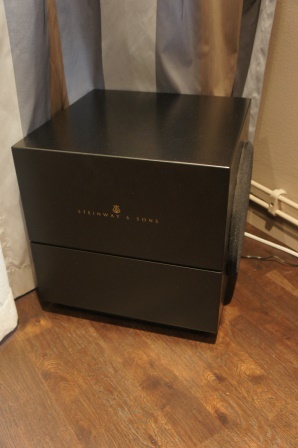 The Steinway loudspeaker from Steinway-Lyngdorf. 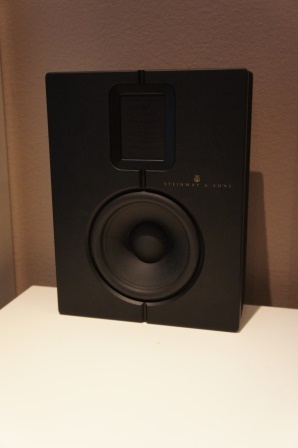 Using the ”Room Perfect” technology from Lyngdorf, this speaker setup sounded nice. 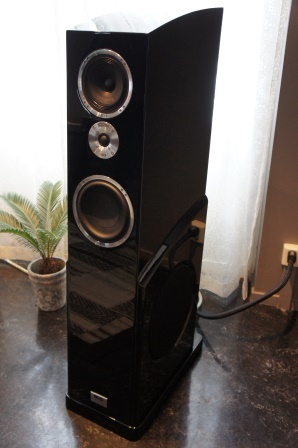 Very expensive, but the price includes both the speakers, sub-woofers, pre-amp and dual amplifiers. 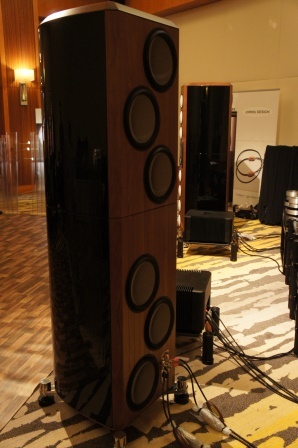 The massive M1 loudspeaker from Daniel Hertz. 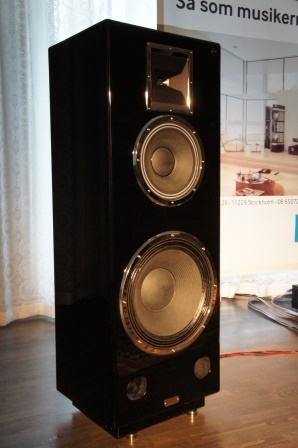 These loudspeakers are huge. 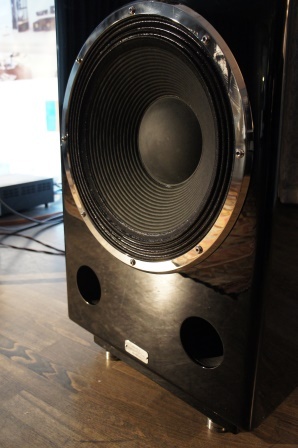 A compression horn paired with a 12” mi-range and an 18” woofer. 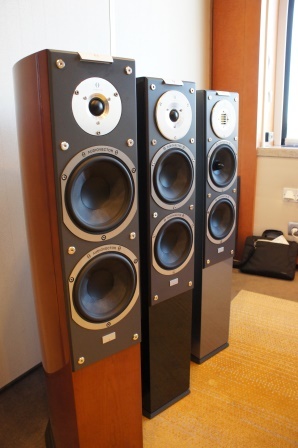 If you have the money, a large room and no neighbors this is the speaker for you. 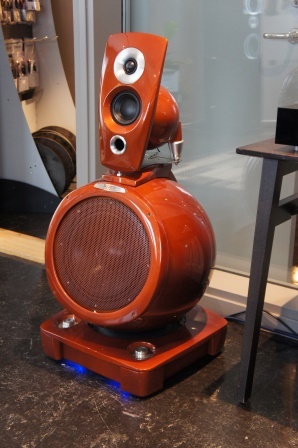 This is a PA speaker with Hifi ambitions and it can very play loud. 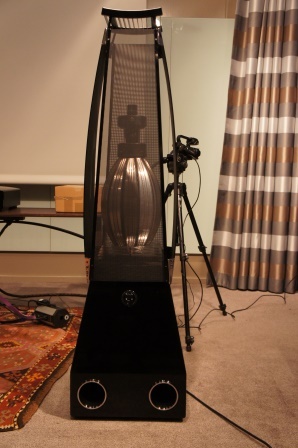 The Electrostatic and the new Motion loudspeaker from Martin Logan. 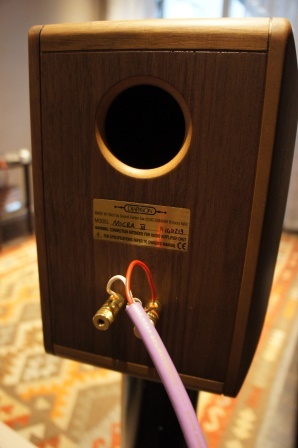 Unfortunately they didn’t play on the new Motion loudspeaker, but the electrostatic speakers sounded ok. 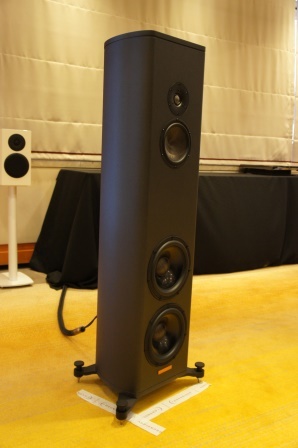 These crazy expensive Mythology M1 stand-mount loudspeakers from ENIGMAcoustics sounded decent, but nothing more. 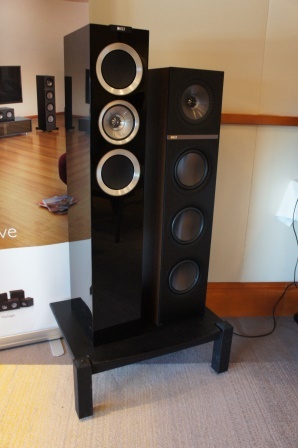 It uses a large 34mm tweeter dome and a 7” mid-woofer crossed over at 1100Hz and paired with an optional super tweeter. 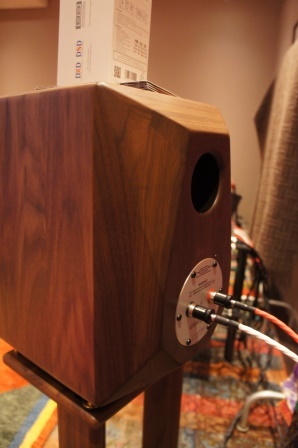 The super tweeter alone costs about 3700$! 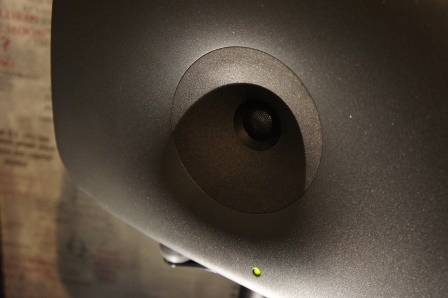 The new 8531 3-way co-axial active loudspeaker from Genelec. It sounded ok as Genelec usually do. 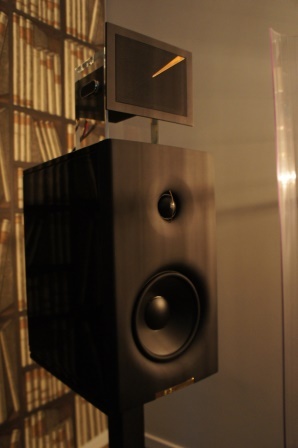 The P-38F and the RP-280 from Klipsch. 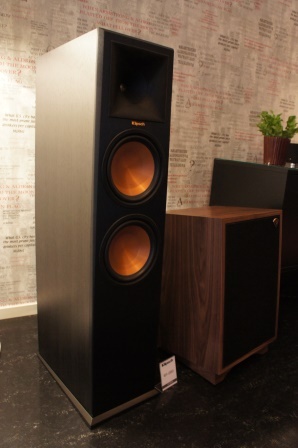 I’m not a huge fan of the Klipsch speakers. I think the tweeter is exaggerated and sound harsh and unnatural. Of the two I thought the RP-280 sounded better even though it had party bass. 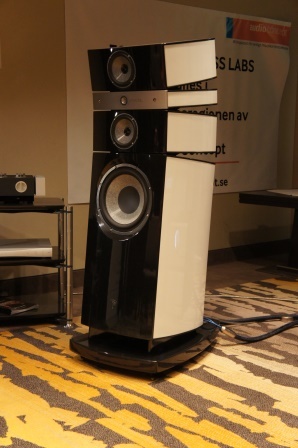 The Pharoah from Trenner & Friedl. They sounded nice using an 8” SEAS mid-woofer paired with a 1” horn tweeter. The Radialstrahler 101 E MK II from MBL. 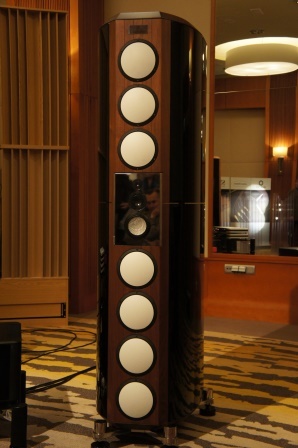 If you like classical music, there is nothing better than the MBL Radialstrahler loudspeakers. They sound very realistic and life like. 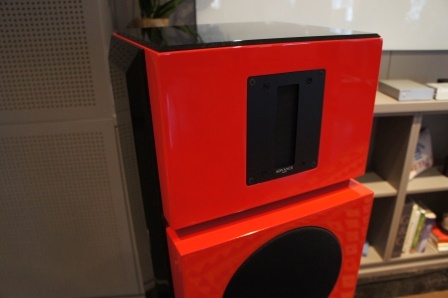 The R500 and R900 from the KEF R-series. 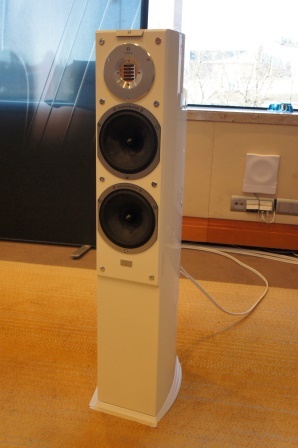 The mid-range co-axial driver used in the R-series is a fantastic driver unit, but unfortunately isn’t used to its full potential in these loudspeakers. I very much prefer my own design using this driver Concentric Three – M5. The floor-stander line-up from AUDIOVECTOR. 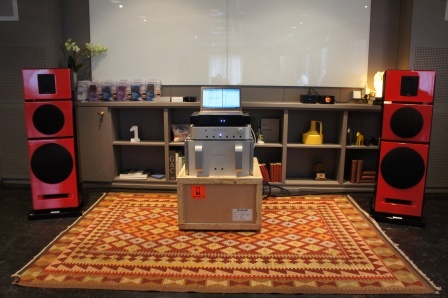 I listened to the top model SR 3 Avantgarde Arreté running on Naim electronics and it sounded rather nice in my short listening session. The tweeter was however a bit overemphasized. 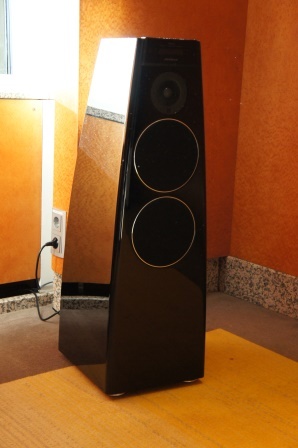 What I really like with AUDIOVECTOR is the possibility to upgrade the speaker with its replacement baffle and driver system. 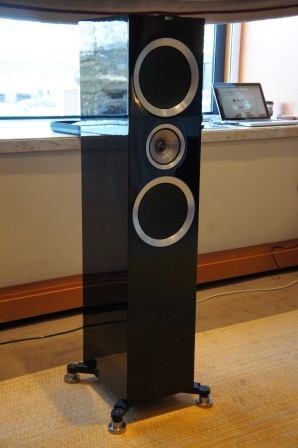 The Magico S3 and the Athom GT 1.0 in the background running on Devialet electronics. 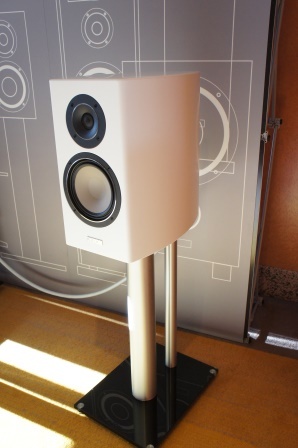 The Devialet amplifiers are really interesting and I want to explore them further. 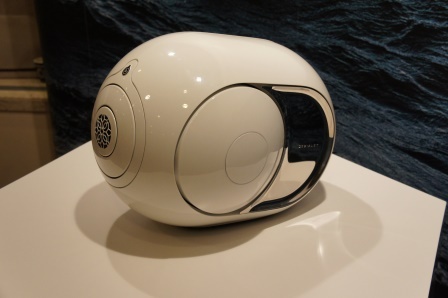 The futuristic looking Devialet Phantom speaker have some astonishing claims like 16Hz (-2dB) bass for such a small loudspeaker. Unfortunately the Phantoms very only on display and you could not listen to them. These sounded nice even though the room was very small and the presenter loved his own voice so much, so that in a 15 minute session you only got 1 minute of playing music. 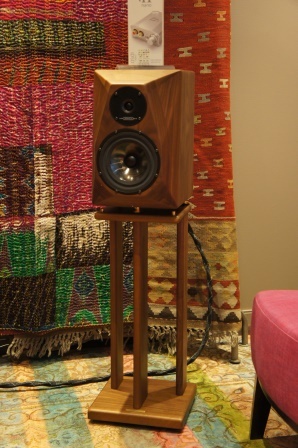 A large stand-mount loudspeaker from Canton with an ear shredding tweeter, but good bass. 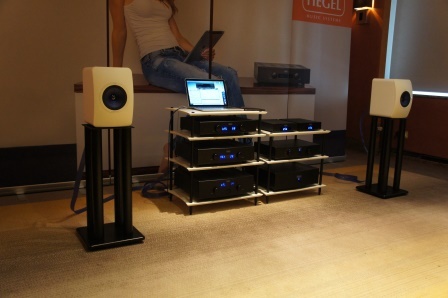 The KEF L50 running on some nice electronics from Hegel. 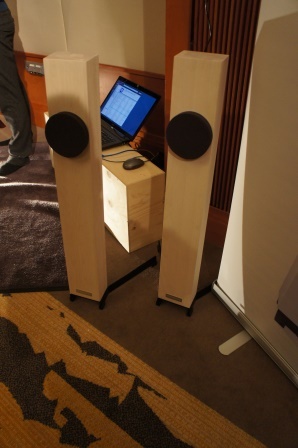 Two expensive floor-standers, the Liszt and the Mist from Vienna Acoustics and QRS. They both sounded nice. The Mist using an Audio Technology 5” mid-range and dual 8” SEAS woofers, sounded more detailed compared to the Liszt which was perhaps a bit more musical and had stronger bass of the two. 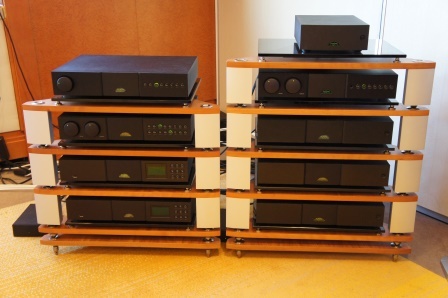 One of the super expensive audio rigs using the The Lars tube amp and the Canterbury GR loudspeaker from Tannoy. It beats me how anybody for a small fortune could buy this setup. The amp and loudspeaker were a bad combination and it didn’t sound good at all. This demo was one of the few on the this show that didn’t used a computer or streaming based music source! 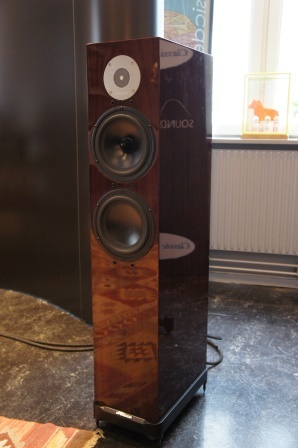 Some life style loudspeakers with a unique look from NORTHNUANCE. 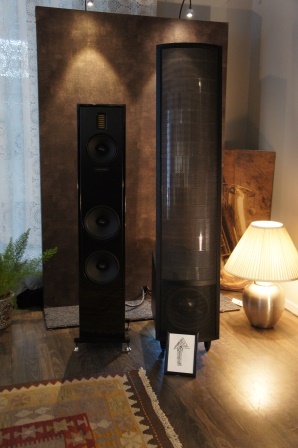 To the left the Variante loudspeaker and to the right the Spiro loudspeaker. Unfortunately I hadn’t a chance listen to the Spiro, but the Variante didn’t sound good in my opinion. 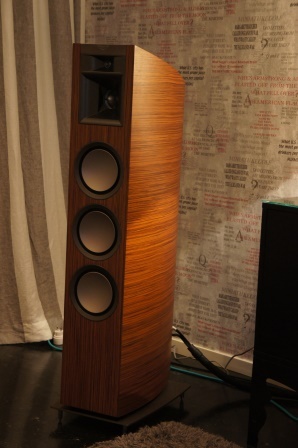 Perhaps such a loudspeaker demands a better room setup/electronics than a Hifi show can offer. 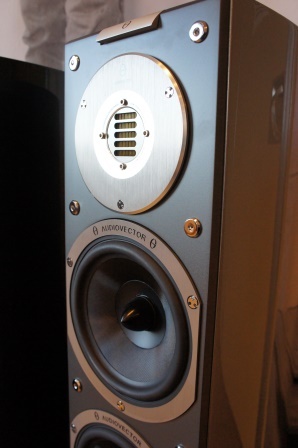 The Alumine 2 way from STEN HEIM using an aluminium enclosure. From my short listening session they gave a positive impression on me. The super expensive Coltrane Supreme 2 from MARTEN. 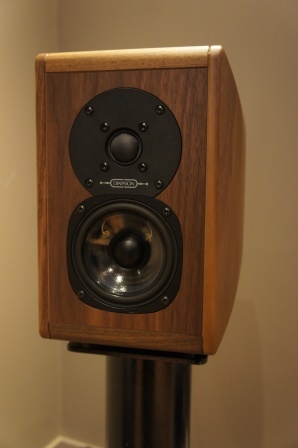 Apparently they had managed to destroy both diamond tweeters and one of the diamond mid-ranges in the demos the day before and they had to be replaced to the listening sessions the day after. It beats me how any of the drivers in such a speaker can break when listening to music! 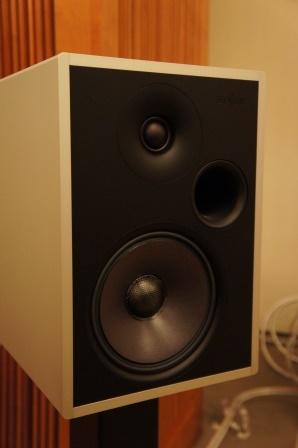 The STELLA UTOPIA EM from Focal. They sounded very pure and detailed, but I think that in the long run the tweeter would be tiresome.